Back in March, we talked about how the dry-ice (frozen carbon dioxide) deposits of Mars can be potentially used for fueling vehicles atop its surface. But what about the energy and resource intensive needs of our spacecrafts that would make their way to the Red Planet in the future? Well, some Finnish scientists have an interesting solution for such interplanetary fuel-heavy endeavors – and, it entails the use of so-called solar winds for space ‘sailing’. 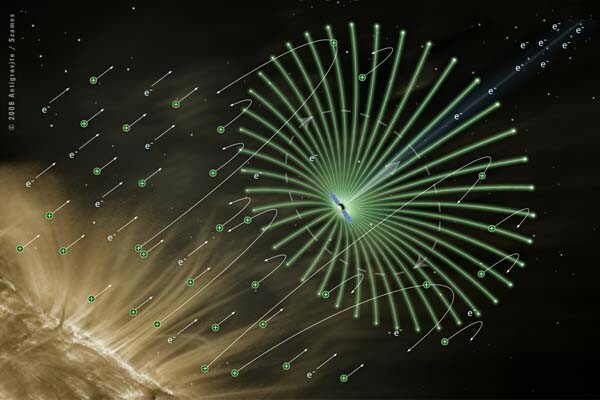 Originally conceptualized way back in 2006 by Dr. Pekka Janhunen (from the Finnish Meteorological Institute), the proposal billed as e-Sail (electric solar wind sail), has once again reared its ingenious head with its recent publication in the journal Acta Astronautica. So how exactly does the scope work? Well, the primary concept involves a propellant-less system that consists of very long filaments (tethers) with high conducting capacity. 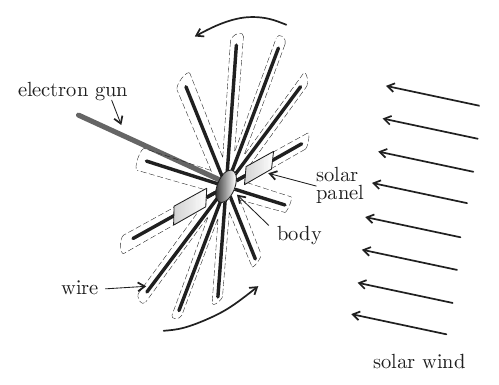 When charged with an on-board electron gun, the setup creates an electric field that utilizes the momentum of a natural solar wind for the thrust required by the spacecraft. 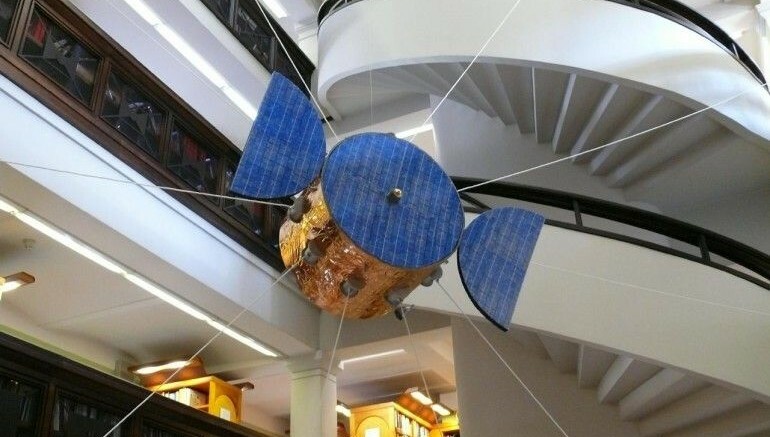 According to scientific estimations, the electric field can transform 20 km long wires into ‘virtual’ sails that are pushed by the solar wind up to speeds of 30 km/sec – thus eschewing the need for any conventional propellant. The brand new proposal of 2015 adds another dimension to this propellant-less e-Sail system, with its potential utilization in the ambit of mining asteroids for water. 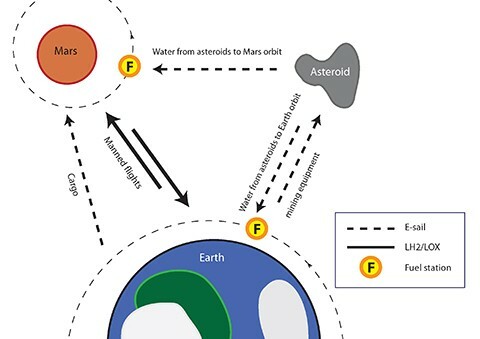 This is how it would work – the lightweight e-Sail unit can be sent to any particular asteroid with water-content, and then the system can extract this water by some heating process. The collected water vapor can at once be condensed inside a cool container module. This module in turn can be separated from the main mining unit, and sent to Earth or Mars orbit via another e-Sail system. The water content can be chemically split into both liquefied hydrogen and oxygen inside one of these orbit stations – with the resultant fuel then being sent to the planet’s surface for powering on-surface vehicles and crafts. In essence, the orbiting fueling stations can be effectively used for future manned missions between Earth and Mars. Of course, beyond this conceptualized scope, there is always the realm of practicality. In that regard, one of the disadvantages of this logistical ambit is that solar winds are blocked by Earth’s magnetic field. So, the e-Sail needs to be powered by a rocket from the Earth’s surface; and once it reaches outer-space, the unit can then switch to its propellant-less mechanism. And once the working ambit is sorted out, according to the scientists involved, the entire interplanetary fuel-ferrying infrastructure can be maintained at a similar expense as that of the functioning ISS. Moreover, the researcher team is also touting the possibility of the space-ferrying ambit extending to even Pluto with further development of the technology in about five years.